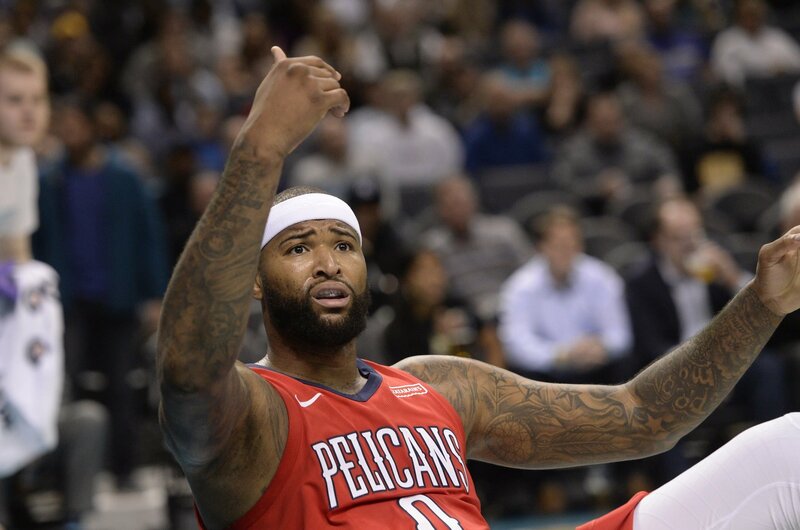 New Orleans Pelicans All-Star big man DeMarcus Cousins was on the verge of cashing in this summer on what would have been a long-term, max contract. Unfortunately for Cousins, he would go on to suffer a ruptured Achilles during the 2017-18 season. With free agency now set to start within the next several weeks, one of the biggest questions is what type of deal Cousins might receive on the open market. The Pelicans themselves have reportedly discussed re-signing Cousins to a shorter-term deal. Though, the team’s brass now doesn’t seem too confident. Appearing on the Bill Simmons podcast Tuesday, ESPN’s Zach Lowe provided an even more alarming assessment of the market that will greet Cousins once free agency opens up this summer. It’s not good. First off, he said there’s no real market for Cousins outside of New Orleans, Los Angeles and Dallas. Lowe then went on to give us insight as it relates to how NBA teams view Cousins. “People react like, ‘No, DeMarcus Cousins is a star, every team will pay him the max.’ OK, who? He’s a big man coming off an Achilles tear, and half the teams (that have cap room) don’t want to spend their cap room because they’re bad,” Lowe noted. That’s the issue. If he were perfectly healthy, there’s little doubt that Cousins would receive a max deal this summer. The 6-foot-11, 270-pound Cousins isn’t healthy. He’s coming off a severe lower-body injury — one that had derailed many careers in the past. While Cousins himself has taken to social media as a way to call the haters out, it seems that those naysayers also exist within NBA front offices. This will certainly be something to watch once free agency gets going during the summer. For now, Cousins’ market is severely limited.